Royale Eco Cleaning Ltd provide the highest quality cleaning service in the cleaning industry. You will be stunned at our unmatched Quality of Service. We come to you, take down, and assess the curtains with you. 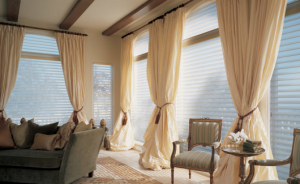 We’ll advise on the best approach according to your curtain’s age, style, fabric, (etc.). Then we’ll take your curtains away for cleaning. Upon return we will re-hang them for you – all for free!. You will see how our service works, our attention to detail, and the finished results we can provide.